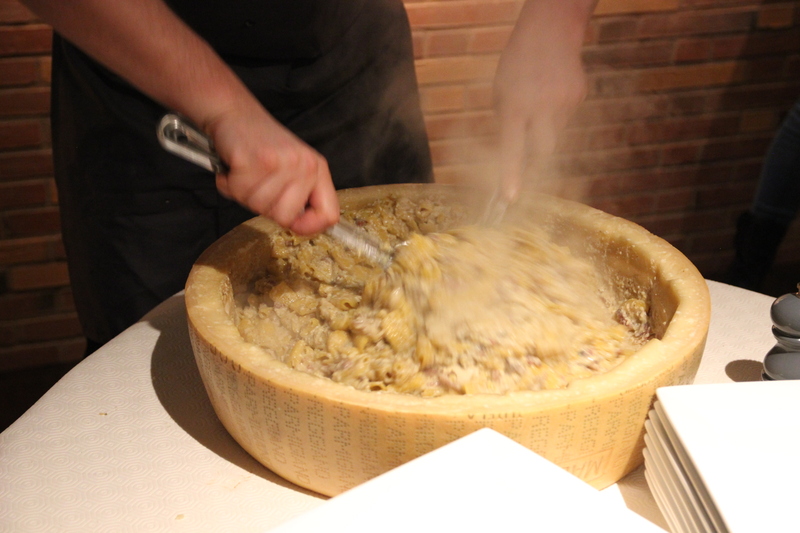 If you haven’t seen steaming pasta served out of a parmesan wheel by now, you must’ve been living under a rock. Popping up on Instagram feeds left right and centre, this cheesy and moreish dish is one that’s been on the cards for us for a little while now, and we were so excited to head along to Pasta Remoli and try it out. The rustic Ealing location as an open plan kitchen so you can take a little peek at your food being freshly prepared. But, for this special dish a whole wheel of parmesan is brought out to the centre of the restaurant and set on fire. Tossing mounds of hot maccheroncini in the slowly melting wheel of cheese is a feast for the senses alone and makes for a great ‘Gram snap. We could barely contain our excitement when we were served two deliciously gooey plates of the Maccheroncini Carbonara (actually we didn’t and let out little squeals when the waiter brought our servings over to us). Crispy bits of bacon complemented the ridiculously decadent dish, while the cheesy pasta was perfectly cooked, so it still retained a little bit of that al dente texture. If you’re keen to get along and try this wonderfully comforting dish, Pasta Remoli are holding another two events on the 29th and 30th of January at 7pm at £25 a head. 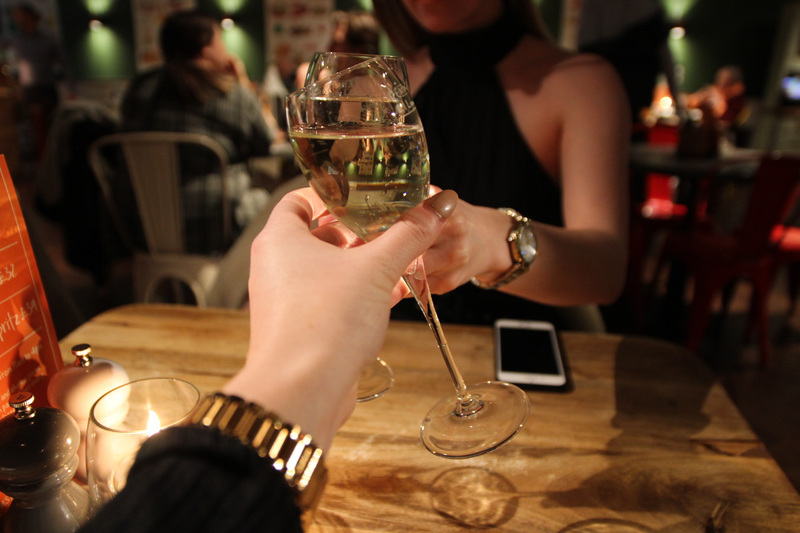 Starting the meal with a crisp glass of bubbly and a fantastic spread of Italian salumi and cheese, arancini in a tomato sauce, creamy burrata cheese and bruschetta, it’s the perfect place to catch up with a good friend over some delicious food and drinks. At 8pm the main cheesy wheel event comes out, followed by a generous platter of Italian desserts. Cannelloni, tiramisu and salted caramel cheesecake finish the evening off on a sweet note, ensuring you’ll be rolling out of there feeling warm and full, ready to tuck yourself into bed for the night. Ooh La La – Did Someone Say Champagne?